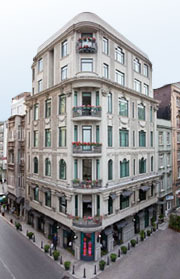 Karakoy Rooms is located at the Galata Şarap İskelesi Street in an elaborately renovated century-old building. Karakoy, once the heart of commerce thank to its harbor in 1600s, is now a touristic an cultural center, ornamented with historical remains. Retro style 12 rooms designed and adopted according to historical texture. "...we think you’ll agree that with rooms like these, it’s hard to imagine wanting more. 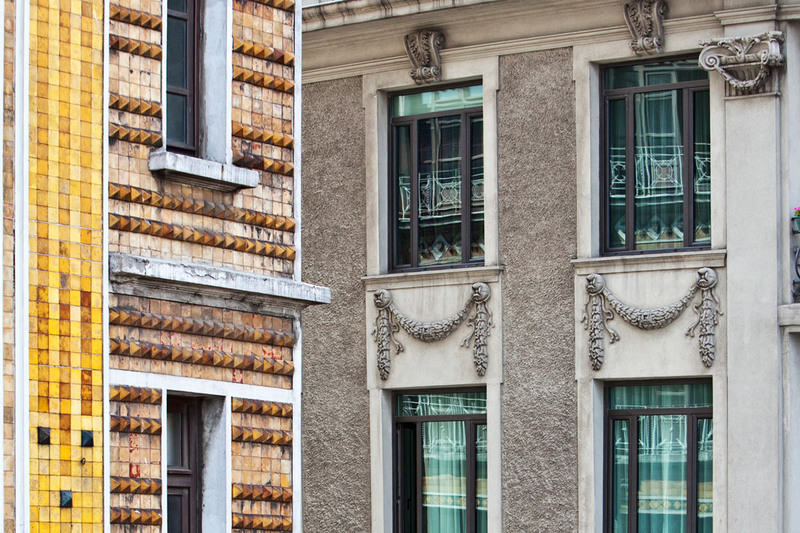 Especially in this neighborhood, just down the hill from the Galata Tower; just like so many Parisian hotels, Karaköy Rooms wagers that whatever you can’t find within the hotel, you’ll find within a few minutes’ walk. And what rooms they are. The so-called standard rooms are nothing of the sort — you’ve got to admire a hotel that can be humble about these crisply updated antique spaces, with their parquet floors, modernist furnishings and fine, fine fabrics..."